Protection from the wellhead to the pipeline. Oil and natural gas exploration places heavy demands on your equipment's lubrication. Excessive heat, contamination, foam and sludge can paralyze your equipment, bringing production to a standstill. 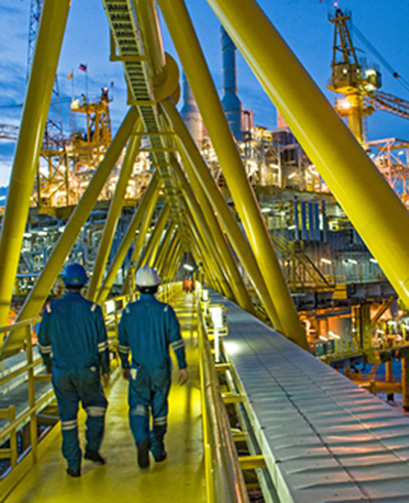 Drilling, completions, workovers, production and processing all require the proper lubricants upstream and downstream. Primrose takes pride in our premium engine oils, gear oils, hydraulic oils, and greases, which provide peak performance long after inferior products have failed. By offering superior protection at every level, our lubricants extend the life of your equipment - increasing production and decreasing downtime. From drilling and completion to production and transportation, our extensive line of lubricants are top performers throughout. Multipurpose greases, our exclusive Armor Plate with Moly-D lubricants and fuel additives, multigrade synthetics and engine oils get you downhole fast, efficiently and economically. Click the link below to see all Primrose products for the oil & gas industry.